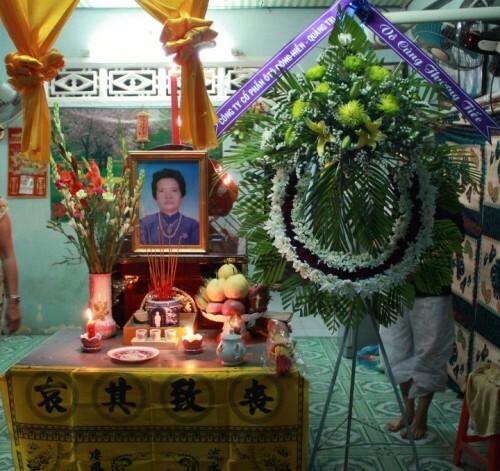 diaCRITICS managing editor Julie Thi Underhill comments upon the practice of self-immolation and the political suicide of Tạ Phong Tần’s mother, Bà Đặng Thị Kim Liêng, before reprinting an article about the circumstances surrounding her July 2012 death. This piece was posted just eleven days before the death of Malcolm Browne, who’d captured Thích Quảng Đức’s famous 1963 self-immolation photo, which opens the piece. Whenever I hear that someone has set him/herself on fire, I always remember the elderly Mahayana Buddhist monk Thích Quảng Đức. On 11 June 1963, while sitting in the lotus position in a busy Sài Gòn intersection, Quảng Đức committed political suicide through self-immolation to protest South Vietnamese president Ngô Đình Diệm’s widespread religious repression against Buddhists. Since I was born in the U.S. thirteen years after the death of Quảng Đức, I’d learned very little about his historically-pivotal suicide before visiting the Thiên Mụ pagoda in Huế, which houses the Austin car that drove him to that intersection in Sài Gòn—the car and the suicide made famous by distinguished journalist Malcolm Browne’s eerie photograph of the burning monk sitting perfectly still and upright in a fierce cloud of fire and smoke. New York Times reporter David Halberstam was an eyewitness to Quảng Đức’s death. He recalls, “As he burned he never moved a muscle, never uttered a sound, his outward composure in sharp contrast to the wailing people around him.” Later, in a rare documents archive at Cornell University, I studied sequential photographs of the self-immolation and the display of Quảng Đức’s heart. Only then did I realize that his heart had remained intact and unburned despite both self-immolation and cremation, a symbol of his apparent piety and purity, according to Buddhists. Chapter 23 of the Lotus Sutra, an important holy book for Vietnamese Buddhists and other Mahayana Buddhists, seems a primary source for the early origins of the idea of self-immolation. As the bodhisattva Medicine King offers his own body to the Buddha, he performs various acts of self-mutilation, including burning his body. This speaks to a follower’s desire to make their entire lives an offering to the Buddha, including lighting himself or herself on fire in order to bring attention to the suffering of others. The Fire Sermon, one of three cardinal discourses of the Buddha, offers additional insight into how the world itself is on fire, burning with suffering. It is an old idea in Mahayana Buddhism, yet increasingly desperate times also call for increasingly desperate measures. Describing the 1960s in Việt Nam, Vietnamese Mahayana Buddhist monk Thích Nhất Hạnh observes, “When bombs begin to fall on people, you cannot stay in the meditation hall all of the time.” Despite the longstanding respect for self-immolation in Mahayana Buddhist tradition, Thích Quảng Đức’s public and political suicide in 1963 was actually the first in a series of thirty-seven self-immolations by members of the Buddhist clergy in South Việt Nam. In addition, it was also the first globalized self-immolation. 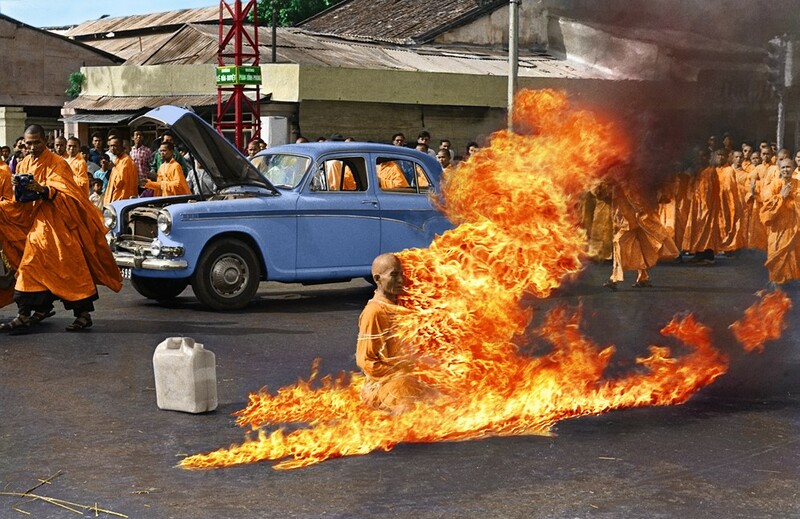 Overnight, Malcolm Browne’s photo drew international attention to repressions against Buddhists under Diệm, a Catholic whose sister-in-law Madame Nhu once callously referred to the self-immolations as “Buddhist barbecues” while offering monks more gasoline. Even as Quảng Đức self-immolation further roused the “engaged Buddhist” movement in Việt Nam, protest against Diệm resonated with the larger population. “Almost immediately, huge demonstrations began to develop that were no longer limited to just the Buddhist clergy, but began to attract huge numbers of ordinary Saigon residents,” Malcolm Browne later remembered in an interview. From the publication of his photograph across the front page of newspapers around the world, sending shudders all the way to the White House, a “rebellion” began that eventually led to the November 1963 coup d’état by generals in the Army of the Republic of Việt Nam, followed by the arrest and assassination of the U.S.-backed Diệm and his brother. Since that intense year, over 3,000 self-immolations (around the world) have followed Quảng Đức’s, including Norman Morrison‘s death outside the Pentagon office of Defense Secretary Robert McNamara in 1965, an incident deeply impacting the U.S. lawmaker, confessed years later in his memoirs and in the insightful Errol Morris documentary The Fog of War. Many Tibetans have also self-immolated in protest of Chinese rule in Tibet, including quite recently. As my longtime friend Wm. Howell puts it, “Sometimes it can only be said with the body.” To this day, public suicides-by-fire still have the capacity to enact enormous social awakenings and changes, including the ongoing revolts across the Arab world, largely sparked by the self-immolation of Tunisian market trader Mohamed Bouazizi in December 2010. In this sense, an individual choosing to set him/herself alight can draw sharper attention to a particular injustice than through any other means, and this heightened focus upon social ills can galvanize transformations heretofore unimaginable. And the tradition continues in Việt Nam, as perhaps a dozen self-immolations have occurred in Việt Nam, since the 1970s. 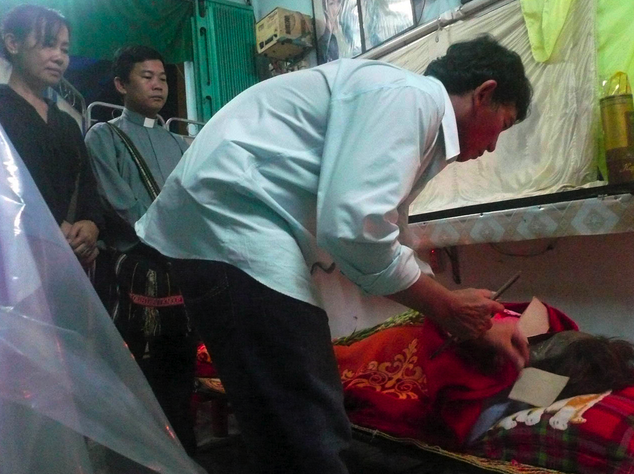 Most recently, on 30 July 2012, 64-year-old Bà Đặng Thị Kim Liêng immolated herself in Bạc Liêu then died en route to the hospital in HCMC. 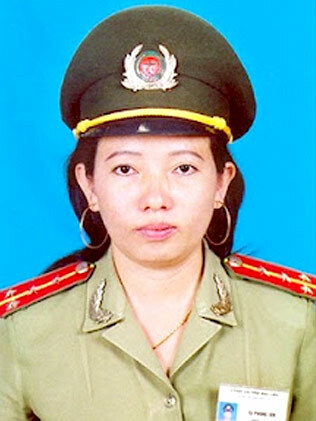 Nearly fifty years after Thích Quảng Đức’s demise, Bà Đặng Thị Kim Liêng chose the same method of suicide to openly protest the imprisonment of her daughter Tạ Phong Tần, a former police officer arrested in September 2011 for blogging about governmental corruption in Việt Nam, including police abuse and violations of human rights. One week in advance of her daughter’s trial, and after reportedly suffering harassment and intimidation since her daughter’s arrest, Bà Đặng Thị Kim Liêng approached a government office and set herself ablaze to protest her daughter’s unfair imprisonment. Although the government-run media did not report upon Bà Đặng Thị Kim Liêng’s political suicide, the news and images circulated quickly around the world, as they did in 1963 after Thích Quảng Đức’s own death by fire. On August 1, the United States called on Việt Nam to free the three detained bloggers, saying that the U.S. is “deeply concerned and saddened” by Bà Đặng Thị Kim Liêng’s suicide. Such shocking public suicides represent the ultimate form of protest, with the potential to incite change or even revolution, as we see in the Middle East and North Africa. “Self-immolation makes authorities—both democratic and totalitarian—nervous,” the Guardian UK observed earlier this year. “To some, death by fire is the ultimate negation of individual agency, a futile act of aggression against the self. But self-immolation inspires in others a belief that individual suffering can set in motion changes far greater than one horrifying death.” Currently, Bà Đặng Thị Kim Liêng’s self-immolation is still making its impact, with the full political or social outcome not yet known, besides the statement issued by the U.S. (recommending the release of Tạ Phong Tần and two other bloggers) and besides an apparent “investigation” into Bà Đặng Thị Kim Liêng’s death and the postponement of the bloggers’ trial. And although writers around the world will certainly produce more in-depth editorials in the coming days and weeks, we are reprinting below the most widely-distributed Associated Press article about Bà Đặng Thị Kim Liêng’s political suicide. HANOI, Vietnam (AP) — The United States expressed deep concern and sadness Wednesday over the self-immolation of the mother of a prominent Vietnamese blogger and called on the communist government to free her daughter and two other writers facing trial. A police officer in the southern province of Bac Lieu said Tuesday that 64-year-old Dang Thi Kim Lieng died Monday afternoon on the way to the hospital in Ho Chi Minh City after setting herself on fire that morning. Her death was not reported in state-controlled media. The U.S. Embassy said in a statement that it was ‘‘deeply concerned and saddened’’ to hear of Lieng’s death and it called on the Vietnamese government to release all three bloggers immediately. Lawyer Ha Huy Son said Tuesday that Tan and two other bloggers are scheduled to be put on trial Aug. 7. All three belong to the outlawed Free Journalists Club and stand accused of posting and writing hundreds of articles that ‘‘distorted and opposed’’ the communist government. On a visit to Hanoi this month, U.S. Secretary of State Hillary Rodham Clinton mentioned the Free Journalists Club while saying she remains concerned about a lack of online freedom and the jailing of Vietnamese journalists, bloggers, lawyers and dissidents for peaceful expression. Julie Thi Underhill is an artist, photographer, filmmaker, writer, historian and doctoral candidate in Ethnic Studies at UC Berkeley. 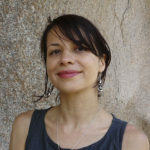 She specializes in Cham studies, diasporic studies, memory studies, Asian American film/video, Asian American history, and transnational feminisms. She is a managing editor for diaCRITICS. The Associated Press is the world’s oldest and largest newsgathering organization. Please take the time to rate this post (above) and share it (below). Ratings for top posts are listed on the sidebar. Sharing (on email, Facebook, etc.) helps spread the word about diaCRITICS. And join the conversation and leave a comment! What do you think about the practice of self-immolation, especially in this particular circumstance? Not to add to the fire, but I filed this story before I read Julie’s article and the helpful comments here. Excellent story, Duc. Thanks for sharing it here. I wish that more people would read this post, and that the government would stop making useless press releases and put some actual pressure on the VN government. It seems to me that the US will never really care about VN’s human rights abuses as long as China is a threat to US “interests.” Until then, the US just sees VN as a convenient buffer. Or pawn. In the case of the bloggers, it becomes more difficult. The person I am disgusted at the most (outside the VN gov’t) is Secretary of State Clinton. She could have used her recent visit to do so much, but has done nothing. Regarding Secretary Clinton: agreed! But secretaries of state are usually disappointing on these issues. They represent, of course, state power, and not the interests of other countries, minorities, or the weak, unless those interests align with the USA. Viet, I agree with you: I don’t expect anything other than self interest from a Secretary of State. What I hate is all the posturing about how the US wants to foster freedom, democracy, and blahblahblah. The hypocrisy is so bad you can smell it. Be selfish, but don’t pretend to be liberal-minded at the same time. Thanks for the corrections regarding other more-recent self-immolations. I have changed the language of my introduction to reflect this reality. I also hope that Bà Đặng Thị Kim Liêng’s self-immolation results in more than “lip service” from both the US and Vietnamese governments. Assuming the “kind” you are talking about is self-immolation in protest.
. Phạm thị Trung Thu who self-immolated at the office of the Meet the People across Mai Xuân Thưởng Park in Ba Đình, Hà Nội for another act of protest against the authorities illicit appropriation of her land. Besides the above, there are more, including the run-of-the-mill familial acts of despair (http://bee.net.vn/channel/1987/201206/da-Nang-Mot-nguoi-tu-thieu-tai-nha-1840074/) such as a few in Hà Nội for gambling debts and jealousy (Đoàn Mạnh Hải July 27, 2011 and Trần văn Trung Oct. 2, 2011). One must note the differences to the background and the impact between Venerable Thích Quảng Đức’s martyrdom and the recent self-immolations as acts of despairing dissent against the Hanoi government. The U.S. Embassy in Saigon and the Western Press were warned before hand before it occurred, the event was well-publicized so the impact was significant, contributing to the coup that ousted president Diem, his murder and that of his brother Nhu, whereas in VN recent immolations there were no orchestrated event for the World to witness. No Western press or cameramen were present to record these protests. In the end, Vietnamese-Americans must recognize that, as expats and outsiders, they are out-of-touch with VN. Especially regarding the hope, needs and fear of the people. The mentality of the 2X generation here is ghastly disparate and totally foreign from those people in VN, whose language and thoughts they don’t understand. “Vietnamese-Americans must recognize that, as expats and outsiders, they are out-of-touch with VN. Especially regarding the hope, needs and fear of the people” I agree. “The mentality of the 2X generation here is ghastly disparate and totally foreign from those people in VN, whose language and thoughts they don’t understand.” I don’t agree. I don’t think the out of touch mentality is unique to the second generation. There are people in Viet Nam who don’t agree with the regime who think 1st generation Vietnamese Americans have the wrong approach to things. I think there are a lot of 1st generation Vietnamese Americans who are attached to a notion of Viet Nam that they grew up with and may not exist anymore. Besides the question of politics, there’s also a significant degree of cultural difference between the Vietnamese in Viet Nam and 1st generation Vietnamese Americans, who are both more attached to the past than they are willing to admit, and more Americanized as well. Thank you Việt, “I don’t think the out of touch mentality is unique to the second generation” well put. If that what you think I meant, I’d stand corrected. Definitely, the 1st generation overseas Vietnamese do not share the same outlook as the current or their counterpart generation who live in VN – and that is the gist of what you said: “There are people in Viet Nam who don’t agree with the regime who think 1st generation Vietnamese Americans have the wrong approach to things.” which – for 37 years – makes the regime very happy. I fancy myself NOT sharing the mentality of the 1st Xers, but even I realize I do not count as part or parcel of the engine that wishes for change and betterment in VN. But today, there is an element overseas (and vice versa) that come to see eye to eye with each other and those who one day soon to be the critical mass of that engine. Professor Lê Xuân Khoa is 85 and lives in your neck of the wood is one among the 1st Xers who’s just wrote an open letter to Hanoi with a couple of dozens writers/bloggers inside VN Check out his interview on RFA. Now what I mean, as far as ‘resolving one’s own conflict with the U.S. (and/or the past) before talking about VN’ is that one should not mix the politics of manifest destiny (or in your words, imperialism) of the U.S. with VN, and excuse or make light of the outcome of communism as the result of the American intervention. I am NOT an apologist for the U.S., but one must realize that in the geopolitics of the Cold War and history of contemporary VN in the wake of French colonialism, that it is inevitable for the U.S. NOT to be present in VN. Can one blame French colonialism faster than the U.S. for the coming of age of Hồ chí Minh and the emergence of his Communist Party in VN? Of course, one can always possess better hindsight for history and ask: What if…? We must remember that the Nationalists (Việt Nam Quốc Dân Đảng) and the Communists (Việt Minh) had fought each other for 30 years before American combat boots hit the ground in VN. Việt, it is your forte to talk about Ethnic lit or Race history, but in the context of VN, there is more than meets the eye. So I would like to stop here and treat the subject at a better time and space.